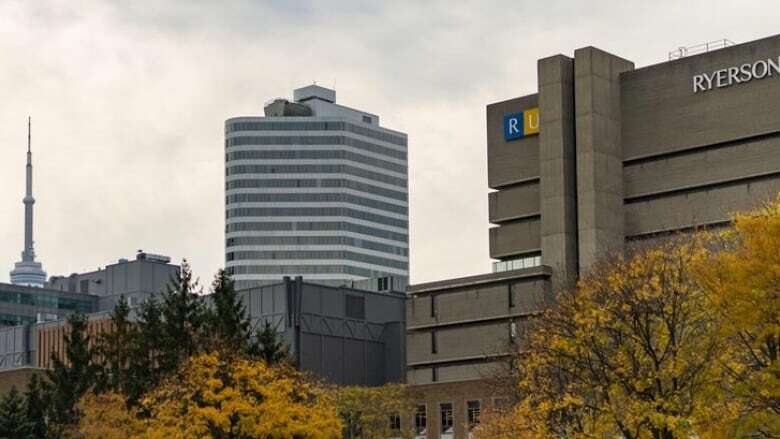 Ryerson University is moving forward with a plan to open a new law school despite the provincial government's rejection of a key funding request and increasingly dire job prospects for new graduates in the field. "We think that the legal profession needs to be modernized and that Ontarians need more cost-effective services," said Mohamed Lachemi, president of Ryerson. According to Lachemi, Ryerson's will be a "different kind of law school" that will focus heavily on training students in new technologies and methods of delivering cost-effective legal services to more diverse communities. Last month, however, administrators learned that prospective students will not qualify for the Ontario Student Assistance Program. In other words, they'll get no help from the province to pay tuition fees. The provincial government argued that Ontario already has more lawyers graduating from its seven law schools than there are articling positions available. Therefore, it would not be in the province's interest to grant the funding request. Anver Saloojee, dean of record for the law school, says administrators plan to "continue the dialogue" with Queen's Park. "If that fails, we will look to alternative sources, namely fundraising, as a way of offsetting what would have come from government," he said in an interview with CBC Radio's Metro Morning on Wednesday. Ryerson planned to charge about $20,000 per year in tuition fees, considerably less than other law schools in the city. Osgoode Hall at York University costs students some $28,000 per year, while the University of Toronto costs students about $38,000 per year. Saloojee admitted that Ryerson may now need to consider increasing tuition fees. As for a lack of available articling positions in Ontario, Saloojee said Ryerson already has an initiative in place to offer students an "alternative path" to permanent employment. The Law Practice Program, a pilot that has run for the last five years, combines a semester of training with a placement at a law practice. The program has been such a success, he said, that the Law Society of Ontario moved to make it a permanent offering to graduates in the province starting next year. Current projections show there will be about 1.6 licensed lawyers for every one job in the field, according to Tanya Walker, owner of Walker Law and a Law Society of Ontario board member. Similarly, about 2,000 additional lawyers earn a licence to practice in the province each year. "I think the statistics speak for themselves," she responded when asked about whether Ontario needs another law school. Saloojee, however, said that Ryerson administrators believe that jobs "will be available to our students. "These students will have a certain kind of grounding that will turn them into entrepreneurs and innovators in the field of legal service delivery," he explained. "In fact, we believe these students will be job creators." Ryerson plans to start enrolling students next year. The school expects to have a class of 150 law students for the start of the 2020 fall semester.